The ultimate guide to Oberau ski holidays in 2019 & 2020. Soak up some traditional Tyrolean charm at this quaint, alpine village in the heart of the beautiful Wildschonau valley. Nestled between the larger Auffach and Niederau with excellent links to the Ski Juwel area, Oberau is an ideal base for skiing the nearby resorts and the family friendly atmosphere means it’s perfect for first-timers on the snow. Nestled between the larger villages of Auffach and Niederau in the western Tyrolean Alps, this quaint resort is in a prime location for skiing the entire Wildschonau Valley and vast Ski Juwel area. Much quieter and less well known than its larger Austrian counterparts, Oberau and the entire Wildschonau valley offer a peaceful atmosphere for a relaxing getaway to the piste and great value to match it. The town itself is very traditional and relaxed with a few bars and restaurants - the medieval architecture, traditional Tyrolean buildings and pretty village church will make you feel like you’ve taken a step back in time. A lot of the après takes place around the hotels, which are the main accommodation here, so evenings are spent relaxing with friends and family over a few drinks or winding down in local spa facilities. The village’s prime position in the valley is brilliant for making the most of the off-slope activities. Hop on the free Night-liner which runs throughout the valley to nearby Niederau where you’ll find lively bars or wander over to Auffach for a moonlit toboggan party. The peaceful, friendly atmosphere makes this a lovely resort for families, particularly those bringing younger children to ski for the first or second time - whilst the little ones steady their skis at ski school, parents can easily roam the nearby mountains. The Wildschonau lift pass gives you access to the neighbouring Niederau and Auffach which have a variety of terrain and some excellent red piste for intermediate skiers. Recent renovations have linked Oberau to the larger 145km Ski Juwel ski area, with a new 8 man gondola running directly from Auffach mid-station to the larger Inner-Alpbach - those looking to take advantage of these easy links should opt for the Ski Juwel pass. View our detailed Oberau snow forecast or snow report and see all live webcams, piste maps, road and travel maps and lift pass prices. For a picture of historic snow conditions see the snow depths month by month with our Oberau snow history. 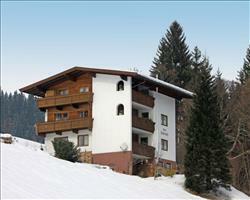 This small resort is a brilliant base if you’re looking to ski the Wildschonau valley or the Ski Juwel area. Whilst the majority of runs above the town are dedicated to learners, the more advanced have exciting intermediate runs just next door at Auffach. A number of drag lifts lead up from the main resort to the nursery slopes making this an ideal place for first time skiers. Happy ski school is the main school at the resort and gives an excellent introduction to the snow for learners. After gaining confidence, beginners may want to wander over to Inner-Alpbach which is easily connected by an 8 man gondola from Auffach mid-station – the area is predominantly steady blues. Intermediate skiers are well looked after here, with a number of red pisted runs and challenging verticals at Auffach, which is just a short bus ride away. There’s a wonderful 7km ‘family run’ here which is marked red for clans feeling confident. Ski down the long, windy red 13 to the midway station where you can catch the gondola to Alpbach. The 01 drag lift at the resort level leads to a couple of black runs which more advanced skiers can tackle before heading higher up the mountain. You can hop on the free ski bus over to Niederau where the M2 gondola takes you up to the steep black 16 to take the longer challenge on the black 15 back to the resort or sweep through the trees on the black 18. The race’n’border area will appeal to speed-daemons looking for a bit of competitive skiing. Whilst the amount of drag lifts in the resort may put beginner boarders off this ski area, there is some good terrain and a fully equipped fun park with jumps and a half-pipe at Auffach which is the popular hang-out for most boarders. This small, laid-back town has a very relaxed après ski and most evening meals and drinks are spent at the hotels. With a very family-friendly scene, parents can wind down at the bar without leaving the premises. There are a number of options for eating out- Reini’s Essbar is highly regarded for its local dishes and Thalmuehle is a favourite for its delicious Tyrolean cuisine where you can spend your evening sharing stories over great food and flowing wine. You’re most likely to find a traditional Tyrolean evening or two within the valley - don’t knock it until you’ve tried the local speciality of Wildschonau schnapps made from white turnip which will probably be found proudly on offer at most bars. Wine tasting is also held in some accommodation - a great way to learn about more of the local traditions. A fun evening can be had at a toboggan evening party where you get the ‘slow train’ up to the mid station at Auffach for a glass of Glühwein before descending the 5km toboggan run. Whilst there isn’t much après activity in Oberau, the free Night-liner bus makes it easy to get to the livelier resort of Niderau where you’ll find a number of casual bars with a fun nightlife. Dorfstub'n is the place to be and the most popular for après drinks and cave bar and O’Malley’s are also popular watering holes. For a moment of respite, hotels with spa facilities offer a relaxing way to wind down. If you’re taking an afternoon away from your skis, the panoramic train journey across the mountain takes you past some of the most beautiful scenery in this picturesque valley - a memorable and unique experience. When is the best time to ski Oberau? One of Oberau’s major selling points is its easy access to the neighbouring resorts in the Ski Juwel area so whilst the snow at the resort may begin to disperse later in the season you’re likely to find more skiable terrain on the higher surrounding mountains which are kept well groomed and have snowmaking coverage. With snowfall usually at its highest during the winter months, it’s likely you will be skiing in a white winter wonderland at Christmas. As a popular destination for families the slopes are busiest during school holidays with avid learners taking lessons and the more confident testing their skills - crowds are still minimal compared to the larger Austrian resorts and the village remains peaceful. This in an excellent resort for families, particularly those bringing young ones to ski for the first time and we have some excellent accommodation that’s perfect for families on the slopes. Hotel Tirolerhof ticks all the boxes in terms of location with doorstep skiing opposite the learning slopes and ski school meeting place so you can easily get everyone onto and back from the piste. Choose to have your meals included in a half-board holiday making evenings a breeze and hotels with on-site bars give parents the chance to enjoy an evening drink without leaving the children. The family friendly atmosphere of the town makes it a nice environment for children and the learning slopes at the resort are the perfect place for little learners. Happy ski school is the main school in the resort and gives a fun and safe introduction to the snow for children as well as offering improver lessons and tours for more advanced skiers. With Oberau at the centre of the valley, this means that whilst children are in ski school, parents can roam the area surrounding Niederau and Auffach which offer gentle cruising runs and steeper verticals. Alternatively, stay close by and test your skills on the advanced runs that lead from the 01 drag lift in the resort. A wonderful family day away from the skis can be had on a leisure train ride across the mountain where you’ll get some stunning views of the mountain. For a fun family evening try the moonlit toboggan ride at Auffach – a must do on a visit to the resort. For a cheap and easy way to book your family holiday, choose a deal with flights and transfers or drive the family to the mountains with a self-drive package including channel crossings. Booking accommodation only is also available and you can browse our independent travel section to find some great deals on these - better yet call us with your preferences for expert advice and easy booking! 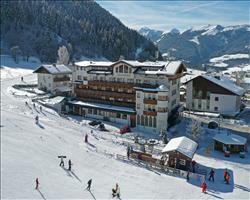 The amazing links to the vast Ski Juwel area make this resort great for a group holiday to the piste. You can base yourself at the foot of the slopes near the centre of the town and ski bus top so you can easily venture out on the mountain and make the most of the après activities. Hotel Tirolerhof is ideal for large groups with beginners or younger members as it is in a prime ski-in/ ski-out location opposite the learning slopes and ski school meeting area. Another cosy hotel for groups is the Gasthoff Kellerwirt where you can spend a fantastic stay in an old monastery in traditional Tyrolean style. You can choose to have your meals included with a half-board holiday or have free evenings to explore all the valley has to offer with B&B. Best suited to groups with beginners and intermediates, you can head over to Niederau to find some gentle cruising runs or test the steeper descents at Auffach - a good day can be spent skiing over to Inner-Alpbach, take the red 13 to catch the gondola from Auffach mid-station. There are some lovely restaurants in the town such as Reini’s Essbar and Thalmuehle and those looking for a livelier après scene can take the free night-liner bus, running every evening from 8pm ‘til 3am to Niederau where there are a number of buzzing bars filled with skiers. The toboggan party evenings held in Auffach are a must do- fuel up on glasses of glühwein before taking on the 5km descent. For an easy and cheap way to book choose a package with flights and transfers or opt for a self- drive package with channel crossing included. Accommodation-only deals are also available- just browse our independent travel section- or better yet, give us a call and let us do the hard work for you. "Great for beginners, lovely at Xmas"
Oberau is a great place for beginners. The beginner slope is right in the centre of the resort so it’s really easy to get to. The Happy Ski School is situated right at the bottom of the beginner slope so all we had to do was cross the road from our hotel and we were there. There are plenty of beginner and intermediate slops in the neighbouring resorts of Alpbach and Neiderau which are both accessible by bus, however Alpbach was our favourite place to ski because there was a bigger choice of runs. 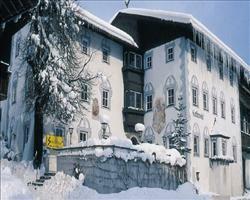 Having been to Oberau at both Christmas and New Year I would say they are both a great time of year to go. Both times we went there was plenty of snow and lots of nice sunny days too. The village was decorated with Christmas lights hanging from the hotels and shops and there was a large decorated Christmas tree in the village centre so there was a nice Christmassy feel to the place. At New Year there was a spectacular firework display at midnight, we all gathered on the Terrace of the Kellerwirt Hotel to watch. Earlier on in the evening the ski school put on a touch light procession, where the instructors descended from the top of Oberau’s main slope with torches to background music of The Chariots of Fire theme song. On both Christmas Eve and New Year’s Eve our hotel put on a gala dinner, where we had 4 fabulous courses. Most hotels seem to put in gala dinners at this time of year. We had a fabulous holiday and all in all Oberau is a great resort, particularly for families and beginners. There is plenty for intermediates too although advanced skiers may get bored and the lack of lively après ski would mean it’s probably not ideal for groups of young people. "Feels like a step back in time, very pretty"
Oberau is a small and quiet traditional Austrian village in the Wildschonau valley between the larger towns of Alpbach and Niederau. The village centre is very picturesque with a magnificent church, traditional Tyrolean buildings and medieval architecture, it almost feels like you have stepped back in time. The après ski in Oberau is relatively low key, just a few bars and restaurants in the village centre and much of the après ski takes place around the hotels with people relaxing in the hotel bars and restaurants. Even though the après ski in Oberau wasn’t very lively, we just hopped on the night bus to Neiderau where there a bigger variety of lively bars and nightclubs. The bus runs through the night so it’s easy to get home. As the choice of restaurants in Oberau is fairly limited due to the resorts small size half board is probably the best bet. We stayed at the Kellerwirt hotel, which did great 3 course evening meals. For lunch in Oberau we either went to the restaurant in the Kellerwirt or in Hotel Tirolerhof. They both did very good food, mainly typical Austrian dishes such as goulash and schnitzel. When we were skiing in Alphach there was a restaurant at the top of the gondola where we would stop for lunch. They also served your typical Austrian dishes as well as sandwiches and burgers. There was a large seating area outside so it was nice to have lunch there when it was a sunny day.